Benjamin S. Whitehead was born in Newark, N.J. on January 24, 1858. His father was a deputy collector in the Dept. of Internal Revenue under Presidents Lincoln, Grant and Garfield. In 1870, he decided to become a printer and completed his technical education at Cooper Union Institute in New York City. His first success came when his printing samples were exhibited at the 1876 Centennial Exposition in Philadelphia. Later he opened his own printing shop under the firm name of Whitehead & Clark. Whitehead first appeared in the Newark City directory as a book job printer in 1876. A Republican in politics, he was a member of the Methodist Church, a member, trustee, and president of many Newark clubs and various state fraternal organizations. Whitehead traveled extensively, visiting 22 countries as well as all parts of the United States. Wherever he went, he made photographs and gathered ideas for novelties to be manufactured in his plant. He had a taste for good music and welcomed the opportunity to bring musical attractions before the Newark public. His hobby, fishing, led to his collection of over 2,000 rods and reels. He would spend his summers with regularity in the development of a summer estate on Whitehead's Island at Kezar Lake near Lovell, Maine. 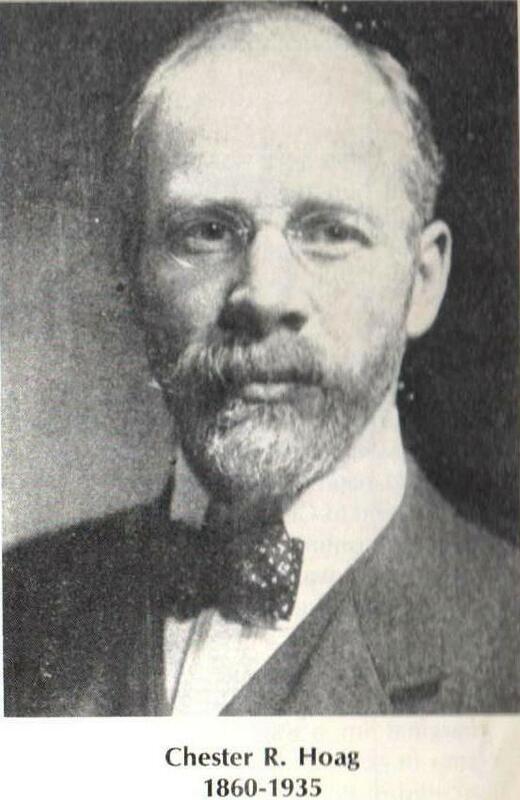 Whitehead was married and had a son (Ray, who later was in charge of the branch office in New York City) and one daughter. He died at the age of 82 on April 16, 1940. Chester R. Hoag was born November 28, 1860, in Wellsboro, Pa. He had no formal schooling beyond grammar school but read every book he could obtain. He came to Newark in 1882 to find work and covered Essex County on a high wheel bicycle for a paper and twine distributor, being paid $8 a week. Hoag first appears in the Newark City directories (Harrison & Hoag) as a paper merchant in 1886. Hoag, active in vocational and religious education, was an elder in the Presbyterian Church and president of the Newark Museum. He was instrumental in producing exhibitions of medals, in particular "Medals Made in Newark." The museum's coin collection has a large number of medals made by the firm and donated by him. His favorite sports were shooting and fishing. He did considerable shooting abroad and hunted and fished in every section of the states. He maintained a summer home at Clayton, N.Y. where he kept several speed boats. He was married and had one daughter and three sons. Hoag died of heart ailment on February 28, 1935, after a long illness. In his will, he advised his children to retain his interest in the company and suggested that if anyone wanted to sell their share it should be offered first to the other children. One son, Phillip Hoag, was president of the company at the time of his death in 1953. *Note: The Whitehead & Hoag Co. was the first button manufacturer and remained the foremost throughout the early years of the industry. "The Button is without question the best advertising Medium"-from late 1890's Whitehead & Hoag button sample card. Although the Whitehead & Hoag Company (W&H) made over 5,000 different advertising novelty items, this article will focus on the history of the company and its contribution to button collectors. In his shop, Whitehead was printing programs for local picnics and parties plus printing badges on silk, when Hoag began to sell him twine. A friendship developed and the two formed a new business partnership that was incorporated in 1892. It was soon to become the country's largest business in the manufacture of advertising novelties. In a badge pin or button, in combination, with a shell having a marginal rim or bead, a covering bearing an inscription, design, emblem, or the like, over said shell and having its edges turned down over said marginal rim, a ring or collet in said shell placed over the edge of said covering to hold or secure the latter in position, and a bar or pin having one of its ends bent to form a holding portion adapted to be secured in said ring or collet, substantially as and for the purposes set forth. Adams was a Newark jewelry manufacturer who patented 49 different novelty articles. In 1892, the main office and factory was located at Washington & Warren Streets. As the company continued to grow and expand, a new factory was built at 272 Sussex Ave. & First Street in 1903. The new factory had a complete printing and lithographing plant with over 50 modern presses, a complete art and photo engraving plant in which all the engraving sketches and plates were made, a complete button plant with a capacity of over one million buttons a day, and a machinery plant where the company made all its own tools, dies and special machinery. W&H was devoting its time to ribbon badges and making some with celluloid parts when the button was patented. Before their patents expired and the development of the small printing press, they would become the largest manufacturer of buttons in the world. The success of the button idea was astonishing, and buttons swept the country in an avalanche. Advertising and 1896 presidential campaign buttons saturated the nation. Their first big order went to the American Tobacco Co., at the rate of one million a day. There were no machines at the time to place the pin and paper in the back of the buttons. W&H solved this problem by offering extra spending money to the families living around the factory to do it. Every night after school the children would walk over to the factory and pick up a box full of buttons, pins and back papers. The company had always been non-partisan, accepting button orders not only from both major parties but from such minority groups as the Socialists, the Communists, Prohibitionists and others. A few of the artists that worked for W&H from time to time included Norman Rockwell, Maxfield Parrish and Harrison Fisher. In the late 1890's W&H set up a network of branch offices in many major cities across the United States. Argentina, Australia and England were just a few of the foreign offices opened. However, these were closed prior to 1940. Although all the work was being done at the factory in Newark, the branch offices were supplied with samples to show the prospective customers. They also were given a list of all conventions to be held in that branch office city for the year. It was up to the branch office salesmen, working on a sales commission basis, to contact all the local churches, businesses and fraternal organizations. 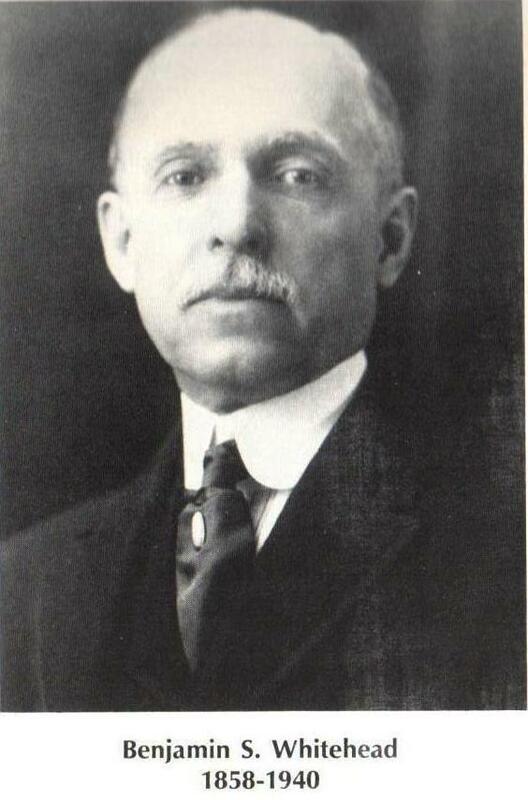 In 1919, an important reorganization took place and Whitehead left the presidency and became Chairman of the Board. It was at this time W&H became a non-union company. Prior to this, most of their items were marked with the union seal or listed the local unions which worked in the factory. Although W&H was no longer a union company they would still mark certain items to make it appear they were union made-especially political buttons. During World War II, normal button production was shelved for a period of time at the factory. W&H then turned to the identification buttons which were worn by millions of workers in the war plants. At the peak of the war, W&H had over 400 employees making these buttons which were required to be worn by state and federal laws. Sale to Bastian Bros. Co.
Bastian Bros., of Rochester N.Y. (founded in 1895) was a long-time competitor of W&H. Bastian, being a union company, could not complete with W&H's prices and like many other agents and jobbers would subcontract out some of their work and buy parts from W&H. There were several reasons why W&H sold out to Bastian Bros. When Phillip Hoag died in 1953, no member of the family was left on the board or in a policy-making role. Another reason was the company had a long history of making a great deal of money for one or two years and then operating at a loss for several years. A third reason was the company's insistence on making a top quality product and their refusal to advertise any other way than on their own product. In the early years, if a customer insisted that the W&H logo not appear on the item, the priced was raised considerably. W&H first offered the sale of the company to Bastian Bros. The sale took place and W&H closed its factory in May, 1959. The president of Bastian at the time of the sale came to Newark, ordered the factory to be sold and any unusable machinery, dies or tools to be scrapped. W&H kept records of every item they ever made and these records were ordered destroyed. Bastian continued to use W&H's name, finally phasing it out in 1964-65.